The Savannah VOICE Festival continues to demonstrate its unwavering commitment to boosting the skills, confidence and progress of young artists by using several of this season’s events to showcase and promote rising stars. The third annual festival, which will be staged August 2-16 in and around Savannah, offers music from opera, musical theatre and popular song. Many of this year’s performers have been mentored under the VOICExperience Foundation, one of the leading operatic, vocal training and outreach programs in the world, which holds its largest program right here in Savannah, Georgia. The 501(c)(3) nonprofit was founded in 2001 by world-renowned baritone Sherrill Milnes and his wife, soprano Maria Zouves. The couple also established the Savannah VOICE Festival. These budding artists will have the opportunity to amaze local audiences during concerts and recitals throughout the festival, starting with Death, by Aria Part I at 4 p.m. Sunday, Aug. 2, in the Westin Savannah Harbor’s ballroom. The evening, sponsored by Jan and Sam Durham, is designed to provide an up-close and personal introduction to young festival singers. Attendees will enjoy opera arias, musical theatre and song in a casual cafe setting. The second installment of the festival’s introductory affair, also sponsored by the Durhams, continues Monday evening, Aug. 3, at 6:30 p.m. with Death, by Aria Part II in the Westin ballroom. Guests again will have the chance to meet VOICE studio artists who are bursting onto the opera scene with vivacious optimism and energetic attitudes. On Monday, Aug. 10, the youth spotlight continues when attendees at the Camp VOICE Showcase get a sneak peek at tomorrow’s stars. 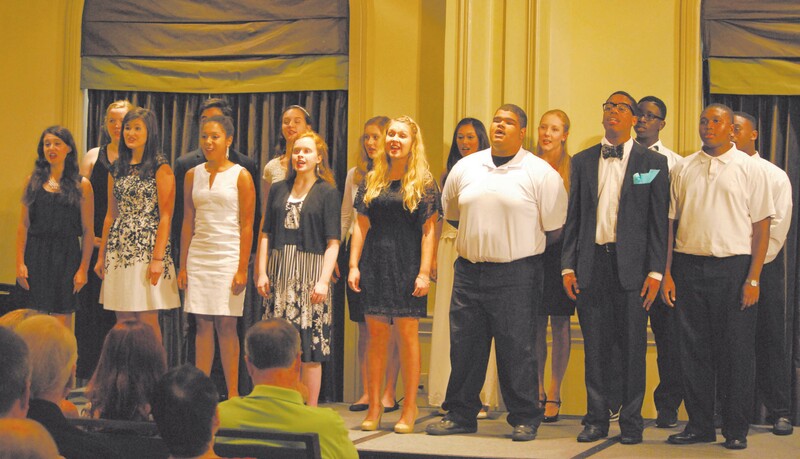 A concert comprised of Savannah’s most talented singers, ages 15-19, lets them shine after spending a week learning from Milnes and Jorge Parodi, a vocal coach and Director of College Preparatory Division of the Juilliard School. The event is at 6:30 p.m. in the Westin’s ballroom. The VOICExperience’s audition project from last season morphs this summer into a fun evening of “How did I do?” During the “Opera Idol – Mission: Audition,” event sponsored by The Salt Table. SVF singers perform in a mock audition for directors of professional opera companies. What will they have to say? And who will be chosen as a favorite? The audience will decide at 6:30 p.m. Thursday, Aug. 13, at Savannah’s Christ Church. Rather than keeping these blossoming prodigies a secret, the VOICE Festival organizers want to be sure everyone has an opportunity to enjoy their talent and witness their ascent to fame. With proper ID, students and military members will receive $10 off the advance sale prices starting 30 minutes prior to show time.. While the Milnes Master classes are free, this discount allows students and military to attend other event starting at $15.00. For information, go to www.savannahvoicefestival.org or www.voicexperiencefoundation.com.